1st test train at Okecie 20.04.2011. Photo PKP PLK. 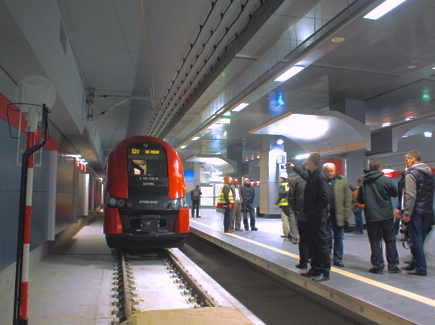 On Friday 20 April, the first passenger train – albeit without any passengers – ran along the new spur to the brand new station constructed next to Terminal 2 at Warsaw’s Chopin airport. The unit was a PESA built Elf EMU belonging to SKM Warszawa. Test runs were carried out on both tracks without any mishaps. The line must now go through a rigorous acceptance process involving both building regulations inspectors and the Warsaw Fire Department before passenger services can commence. PKP PLK are hoping to open the line to traffic at the beginning of June, a week before the Euro 2012 championships start in Poland. However, on 26 April, Poland’s Sport Minister, Joanna Much, added the Warsaw airport spur to her list of railway investments – including the rebuilding of Wroclaw and Poznan stations – where there is considerable doubt whether commissioning can be completed in time for the start of the championships. The EU06 electric locos are reaching the end of their working lives, 50 years after being delivered from the Vulcan Foundry, in Newton-le-Willows, Lancashire. 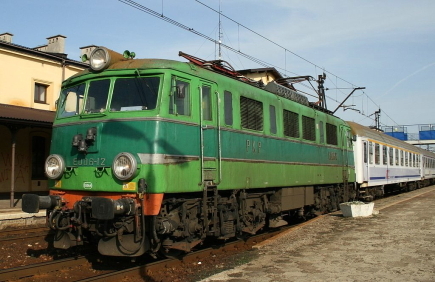 Of the 20 locomotives built, as at 14 December 2011, only 7 locomotives remained in service: EU06… 01, 07, 10, 12, 17, 18 and 20. A farewell trip is planned for 19 May, and is a circular railtour starting at Krakow. It is being organised by a new society, the Fundacja Kolejowa “Stacja Lubsko / Sommerfeld” (Lubsko / Sommerfeld Railway Foundation) and Stowarzyszenie Miłośników Kolei z Jaworzyny Śląskiej (Jaworzyna Slaska Railway Fans Association). The latter are not the same as the organisation operating the railway museum at Jaworzyna Slask. Track severed by A1 Motorway construction, 2011. Photo SGKW. The Bytom narrow gauge railway is the longest surviving fragment of the Upper Silesian narrow gauge railway, an extensive 785mm gauge freight network that carried heavy coal traffic until as recently as May 2001. 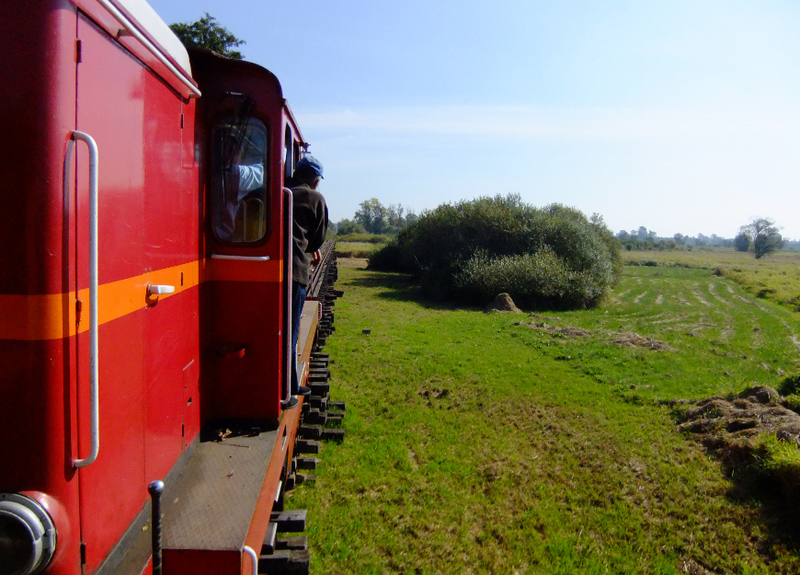 The tourist service dates back to 1993 when the railway was still operated by PKP. 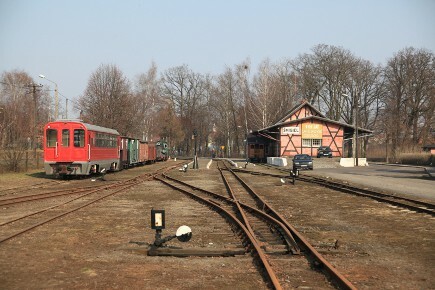 Since PKP closed all of its surviving narrow gauge lines at the end of 2001, the railway has been owned by Bytom, Tarnowskie Gory and Miasteczko Slaskie councils. 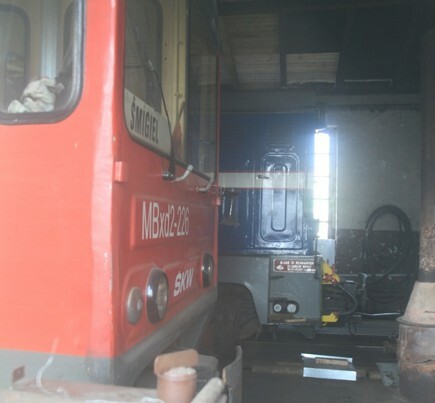 It has been operated under licence by Stowarzyszenie Górnosląskich Kolei Wąskotorowych (The Upper Silesian Narrow Gauge Railway). The new operators survived a very tough first year or two, when track theft was a major unchecked problem in Upper Silesia. 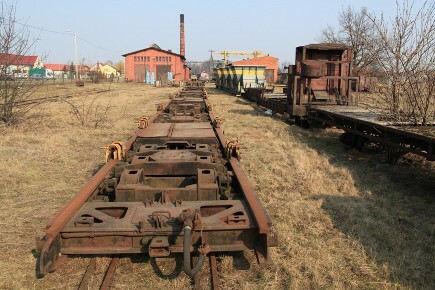 Vast swathes of the former network were lost to theft, including the lines to the southern tourist train terminus of Siemianowice Slaskie and to the repair workshops at Bytom Rozbark. Following this, the railway entered a period of relative stability, operating daily tourist trains in the summer over the core Bytom to Miasteczko Slaskie route. The line gave access to the popular recreational lake Chechlo-Naklo, and long trains were well loaded with tourists. The recent problems started in 2010 when floods in the middle of May badly damaged the bridge over the river Stola at Tarnowskie Gory. Trains were unable to run over the northern section of the line for two months while repairs were carried out, resuming on 15 July. Then in 2011, construction of the A1 motorway severed the route for the whole of the summer operating season. Originally due to be complete in October 2011, the work overran considerably and the new viaduct is only now ready for track laying. At the time of writing, SGKW are expecting the new bridge to be ready for use by the end of April. The new viaduct ready for track laying. Photo SGKW via Facebook. But already a new problem is looming on the horizon. The two viaducts either side of Szombierki power station, which carry the narrow gauge line over first the Bytom to Gliwice line, and then the Bytom to Tarnowskie Gory line, are both in very poor condition and in urgent need of repair. Bytom council have received an EU grant to cover part of the cost of the repair, but the conditions of the building permit mean that work must start by July. So for the third year running SGKW are faced with a key part of their route being closed for the main tourist season. Trains will have to start from Bytom Karb instead of from the platform at the main Bytom Glowny station, and the society fear that far fewer passengers will travel on the trains as a result. If all this were not enough, the railway is also suffering from mining subsidence from the Bobrek-Centrum coal mine in Bytom. A 1.5km section of the line is affected, at the centre of which the track level has fallen by 8 metres. The resulting gradients are so steep in places that they make operation of the trains difficult, as well as causing ongoing damage to rails and sleepers. The mine owners should be liable to repair the damage, but this may take time. SGKW board members have shown considerable resourcefulness in trying to overcome the problems they face and have come up with several new ways to attract passengers to the railway. In 2008 they introduced power station tours which were a great success, involving a short train ride from Bytom to Szombierki power station, then a guided tour of the power station and train back. Unfortunately, the new Finnish owner of the power station is concerned about health and safety and these tours are unlikely to run again this year. Other recent new ventures include involvement in the annual Industriada event celebrating the industrial heritage of Upper Silesia, and “cinema trains”, evening events consisting of a train ride from Bytom to Bytom Karb for film showings in a converted railway carriage. Due to the uncertainty concerning the viaducts at Szombierki the timetable for the 2012 season has not yet been finalised, but trains from Bytom Karb to Miasteczko are expected to run on summer weekends, and perhaps also on weekdays in the school summer holidays. The line has considerable scenic as well as railway interest, and is well worth a visit. MBxd2-228 at Trzcianka Zachodnia in April 1992. Photo Detlef Schikorr. The Drehscheibe Online forum regularly carries posts with member’s photographs of past narrow gauge operations in Poland. Yesterday, Detlef Schikorr published a delightful illustrated article describing a trip to Poland 20 years ago. Pride of place are photographs of the Bydgosko – Wyrzyskie Koleje Dojazdowe (Bydgoszcz – Wyrzysk Narrow Gauge Railway) in 1992 and the Opalenicka Kolej Dojazdowa (Opalenica Narrow Gauge Railway). The BWKD was still carrying freight (it was closed in 1994) and the OKD was still running freight and passenger services when Detlef visited the line. As we go to press, Infrastructure Minister, Slawomir Nowak, has just completed a press conference in Warsaw where he announced the composition of a new slimmed-down PKP SA main board . Out go: Finance Director, Pawel Piesniewski; Director of Property, Pawel Olczyk; and Director of Real Estate Management, Romuald Bosakowski. In come: Jakub Karnowski, to take the post of chairman; and Piotr Cizkowicz, whose title is yet to be announced. Maria Wasiak, formerly in the chair, retains her position on the board. According to Radio Zet, the savings made by reducing the PKP main board to three persons will allow the company to pay sufficiently attractive salaries to employ suitable qualified ‘professionals’. The old 4-person board cost 120k PLN/month, the new board will cost 138k PLN/month.The deposed board members will not be sacked, but rather moved to other positions in PKP. According to Puls Biznesu, Nowak wants Karnowski to set up an investment fund based on PKP’s real estate assets, and to use this fund to ensure that PKP has ‘own funds’ available for the completion of projects for which EU funding has been allocated. Karnowski’s other challenges will include reducing the PKP debt mountain and arranging for the privatisation of PKP Cargo. Karnowski obtained a PhD in economics from SGH (the Warsaw School of Economics). He is a member of the USA Chartered Financial Analyst Institute, was awarded an MBA by University of Minnesota (USA). He was awarded a scholarship by The Margaret Thatcher Foundation to study at the London School of Economics. Karnowski’s last position – which he left to take up his new job as boss of PKP – was chairman of PKO Banks investment fund, PKO TFI, a position he occupied since October 2008. Between 2003 – 2008 he worked in the International Bank for Reconstruction and Development, the International Development Association, the Multilateral Investment Guarantee Agency | World Bank Group. 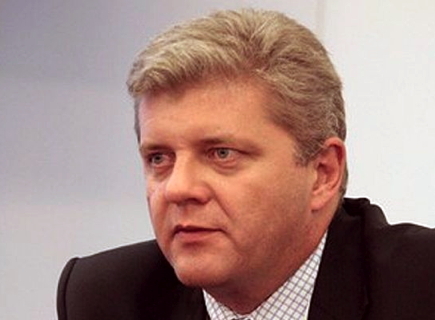 In 2002 he was appointed the Director of the Department of Foreign Affairs of the National Bank of Poland. Karnowski is probably best known in Poland for introducing a student loan scheme in 1997. Cizkowicz studied at SGH under Professor Leszek Balcerowicz and has now returned to his alma mater as a research fellow specialising in economic growth, monetary policy, public financing and econometrics. Since 2008 he has also worked for Ernst and Young where he managed a number of reseaarch projects for private and public clients and also manged the Sprawne Panstwo (Efficient State) programme for the company. 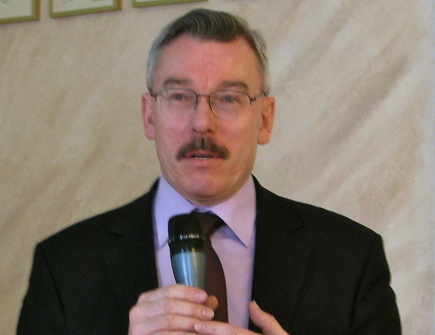 Between 2007-2009 he was an adviser to the Ombudsman for Civil Rights regarding the reform of the Polish Health Service. 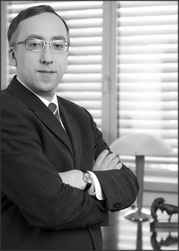 In 2002, he started working for the National Bank of Poland. From 2004 – 2008 he headed the bank’s department responsible for international benchmarking. John Savery was in Poland a week ago and called into Smigiel while passing. He sent us some photos of the slumbering yard and shed, and reported that little had visibly changed since his last visit, apart from the loss of the majority of the transporter wagons. No further details have been released yet, including timetables or prices. It seems fair to assume that the trains will only run over the Smigiel to Stare Bojanowo section of the line. John Savery writes: Around the back of the shed are 4 surviving transporter wagons. The remainder appear to have gone for scrap. They were lined up in the station area when I last called in, and there is solidified molten metal on the ground (evidence of oxy-acetylene cutting). 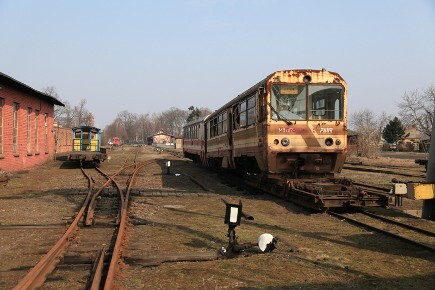 Derelict Romanian railcar outside the shed. Photo John Savery. The railcar that has been up on a transport wagon for years is still there, still sitting on a transporter wagon. A glimpse inside Smigiel shed. Photo John Savery. 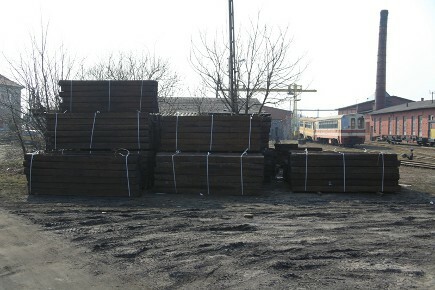 Piles of sleepers remaining to be used. Photo John Savery. The large pile of sleepers, mentioned in Smigiel smiles in its sleep, is still there. They have not been used yet, and there was no sign of activity when I was around (it was a Sunday morning though). Pt47-50 looking immaculate. Photo John Savery. Weather wise, it may have been a bit damp, cold and grey, but that did not stop us from getting out and about and seeing at first-hand what is happening down in Pyskowice. A drive over to the ‘skansen’ brought a meeting with TOZKiOS Vice Chairman, Krzystof Jakubina, and another member of the society who were in the shed to ensure everything was in good order. 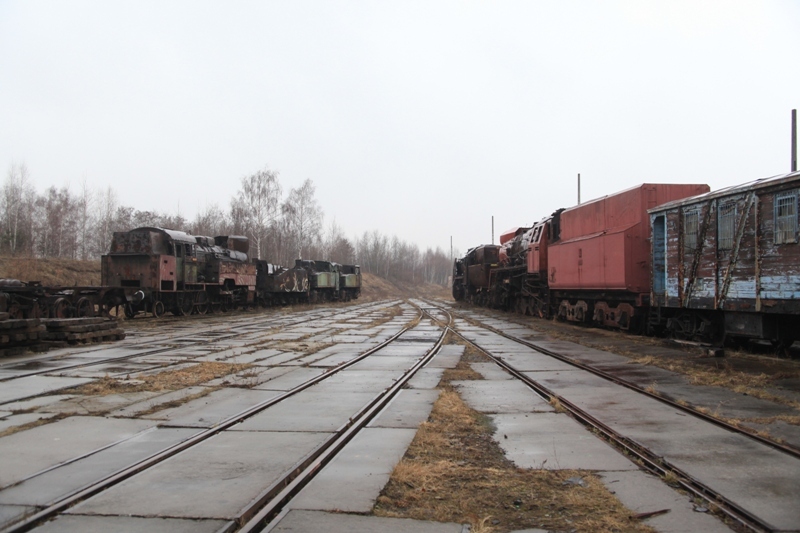 In the gloom of the former wagon shed we spotted, amongst other locos, Pt47-50, and Tkp4422. No lights or power here, and until the dispute with PKP is resolved, that will remain the case. On a positive, at least some of the engines are undercover, protecting them from the harshness of the Polish winters. The Pt47 has been cosmetically restored, and looks resplendent in its black livery. A large proportion of the collection is stored outdoors, susceptible to the Polish weather, and, at this time of year, too inhospitable to work on. Various locomotives are in various states of cosmetic restoration, with others still bearing the battle scars of the collapsed roof of the main shed. The main yard area. Photo John Savery. It is very evident that finding a resolution to the current dispute with PKP is paramount. Until the tenure of the site is secured, no progress can be made on the infrastructure of the site. If you have not already written, I would again urge you to do so. On a more positive note, Tuesday saw an off-site visit to see the current progress on the restoration of Ty42-24. This really does show what the Pyskowice team are capable of. Working in co-operation with a local firm with rail access, the society has been given the use of covered working facilities so that they can carry on with the restoration of the Kriegslok. The boiler has been retubed, in line with Polish regulations. The firebox is in remarkably good condition, as the loco had very little use between its overhaul in 1989 and withdrawal from service in 1991. The official water pressure test is due to be carried out when the remaining parts for the loco have been fabricated. With work progressing on the manufacture and reassembly of a myriad of parts, the intention is to carry out the water pressure test no longer than two months before the steam test, and then to proceed to final reassembly. It is questionable how long that final reassembly will take what with the limited resources that TOZKiOS has available and the distractions of the ongoing court case. Many thanks for taking up the cause of Pyskowice. Recently we had a meeting in the provincial government offices in Katowice where we met with the Deputy Governor, Mr Piotr Spyra. He expressed a great deal of interest in the idea of setting up a permanent railway museum in Pyskowice and offered us his support. We would therefore ask that, as well as appealing to your readers to send letters about the museum to the PKP Chairperson, Maria Wasiak, or the Minister for Rail, Andrzej Massel, similarly worded letters are also sent to him. Follow the link here for his contact details. The next urgent matter relates to TKt48-23. We have received a letter from the owners of the engine informing us that they would like to sell the loco and are even prepared to sell it to a scrap merchant. They are hoping to raise some 17,500 Euros from the sale. 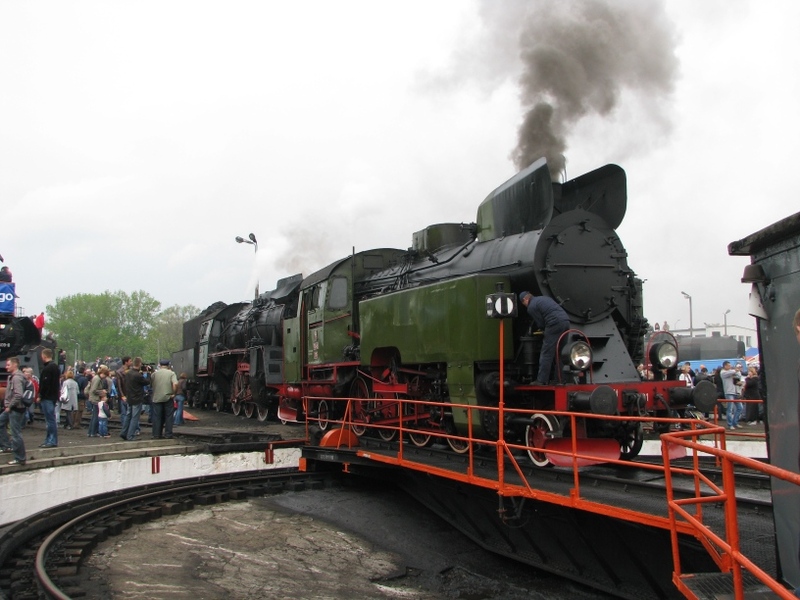 Unfortunately we cannot afford to buy the loco, much as we would like it to remain in Pyskowice. We do not have another TKt48 in our collection. We don’t know what to do. It will be difficult to find anyone prepared to spend so much money. Nevertheless if the loco is not bought and secured it could be sold and scrapped. This would seriously damage the reputation of the skansen. Maybe it might be possible to set up a a special fund for this loco and to launch an appeal among overseas fans of Polish steam locomotives? Have you any advice that you could give us regarding this unusual case? 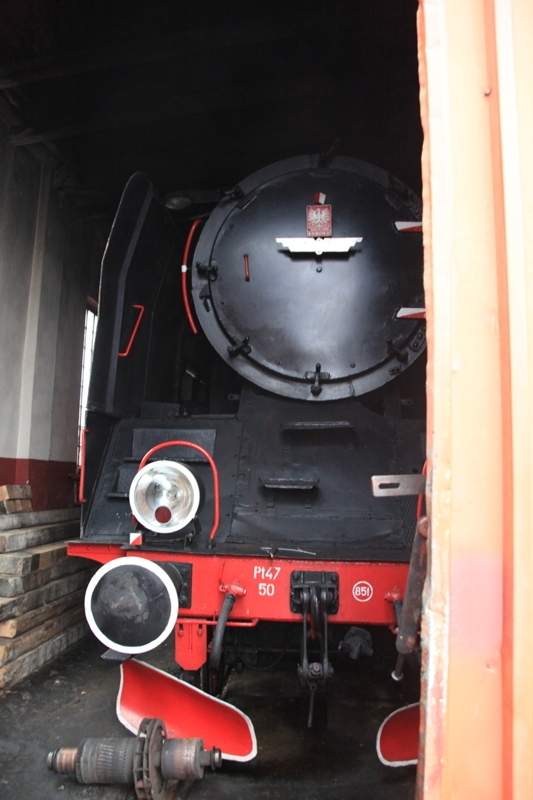 It is clear now that the situation at Pyskowice is very serious indeed and that the battle for the future of this amazing railway museum will need more fire power than can be mustered by BTWT acting on its own. To this end I am meeting two senior representatives of the European railway heritage movement tomorrow to ask for their support and advice as to how to proceed.